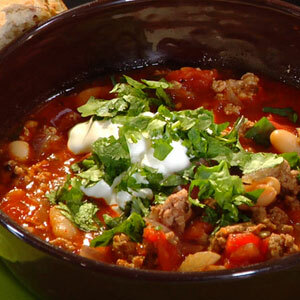 What's better than sitting down to a steaming-hot, juicy bowl of chili? Not having to cook it yourself. Here's all you need to know about throwing a chili cook-off - I'll even tell you what to do with the leftovers. Chili is fairly simple and quick to make, but the variations are endless - and it is amazing how passionately people will defend the proper amount of cilantro and the precise handling of the beef. The competition may get a little heated, but when friends compete to make the best chili, everyone wins. The first thing you need to do is select your judging panel. You'll need an odd number, and you'll need to pick people who have no dietary restrictions, have strong opinions about food, and aren't dying to make their own batch of chili. It won't be easy, but the future of your cook-off depends on this. You'll need a big banquet table for the chili, and another table for condiments, sides, and beverages. You'll need a way to label each chili by number (not by name - anonymity is key). You can provide slips of paper for the contestants and a drop box so that they can vote for the fan favorite. Ballots for the judges can be more elaborate, so they can take notes. You'll also need a place to sequester the judges - contestants can chow down in chairs around the chili room, but the judges should eat at a table far enough away for comments like "This chili tastes like it came out of a diaper" won't be overheard. Give the people something worth fighting for! Grand High Cook-Off Wizard, Joey Arbeely, recently gave out Starbucks gift certificates and chili ladles for the winners in the categories of Fire Alarm, Best Vegetarian Chili, and Originality. Or you might consider gift certificates to your favorite Mexican restaurant, bottles of your favorite hot sauce, margarita rim-salters, or burned copies of the Bashionista Ole! playlist . Your condiment bar should include sour cream, loads of grated cheddar cheese, chopped onions, chopped cilantro, hot sauces, lime juice, and tortilla chips. There will be PLENTY of food for meat eaters, but look out for your vegetarian friends and make sure they don't go home hungry. Consider throwing together a simple green salad, Spanish rice, refried beans, and Molly's ever-popular Peach-Basil Guacamole. Combine 6 oz Frozen Limeade Concentrate, 6 oz water, 4 oz tequila, and 2 oz of triple sec. 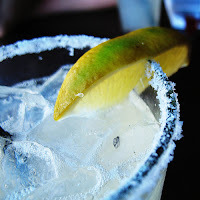 Place a small plastic container on the bar with an inch of salt in it for salting the rims of glasses, and add slices of lime as a garnish. Makes one refreshing pitcher of margaritas.